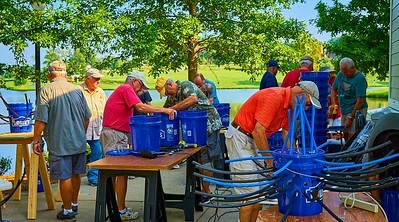 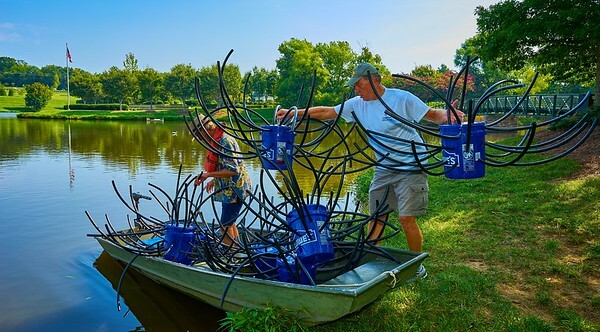 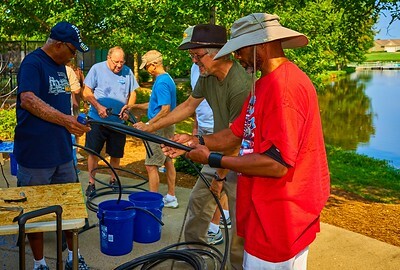 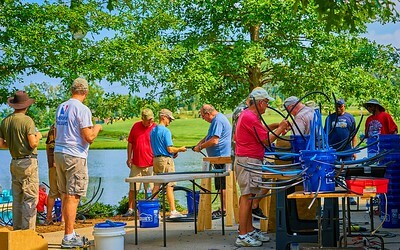 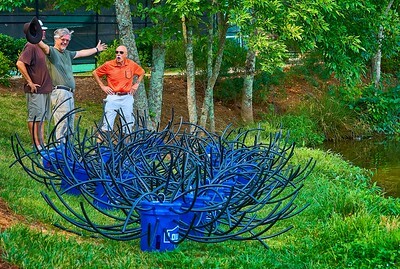 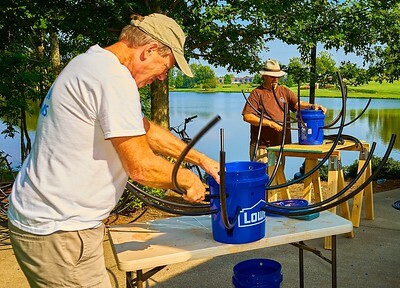 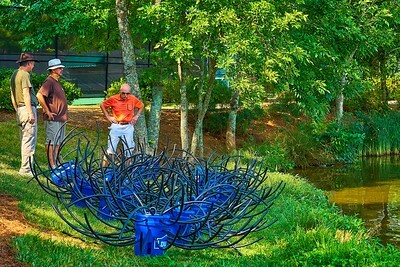 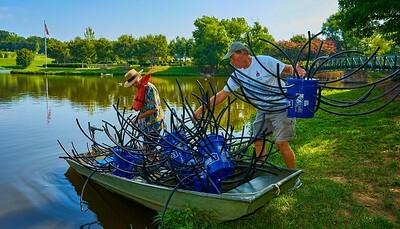 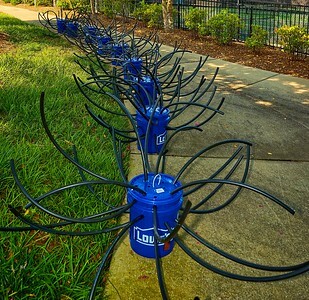 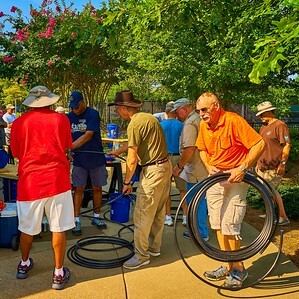 On Tuesday morning, August 22, 2017, members of the Del Webb Fishing Club gathered for the purpose of the construction and placement of several dozen Artificial Fish Habitats in Lake Providence which will provide a place for fish to lay eggs, raise young, and provide protection from danger, amongst many other positive benefits. 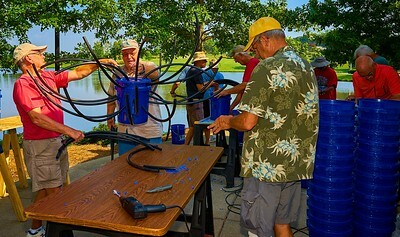 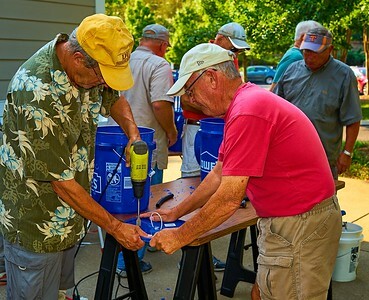 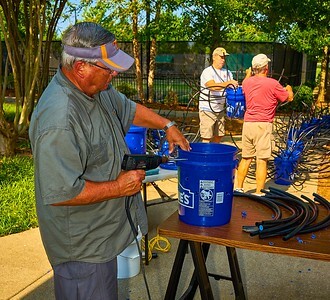 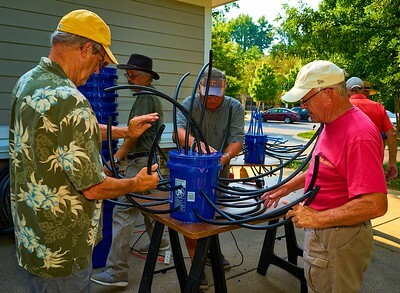 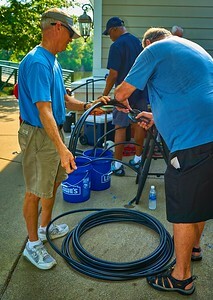 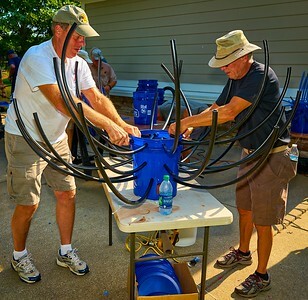 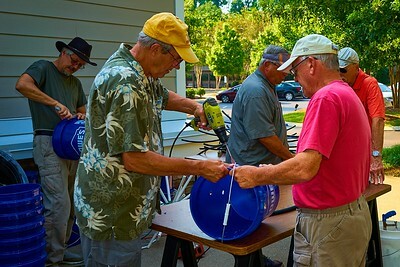 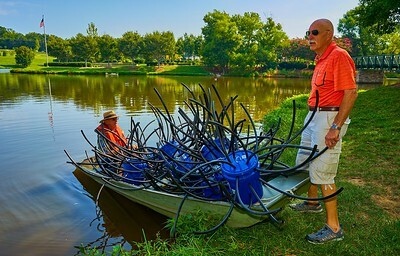 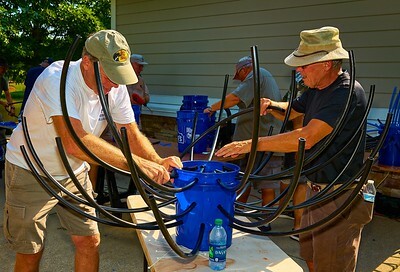 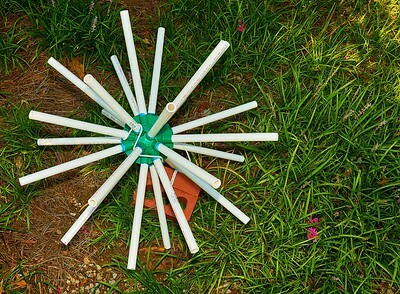 The Club Members divided the work among several teams, with some drilling and cutting the bucket holes while another team cut the plastic tubing for the "porcupine spikes". 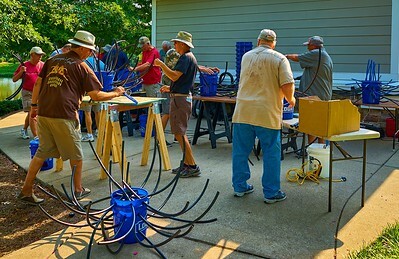 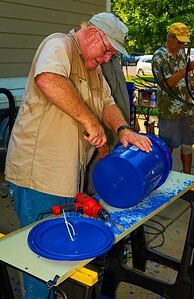 The prepared parts were then moved to the construction table where another team assembled everything. 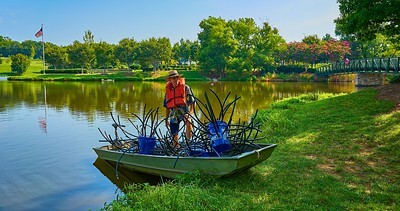 Once assembled, the Fish Habitats were transported to the lake shoreline where they were loaded onto the boat to be submerged in strategic prime locations along the lake bottom.